Recent scientific discoveries show that stem cell therapy can cure hearing loss, indeed cochlear stem cells can be used to make new hair cells which ultimately leads to hearing improvements. The cochlear cells are responsible for converting sound waves into nerve impulses or electrical signals which are then transmitted to the brain to allow hearing are known as hair cells. 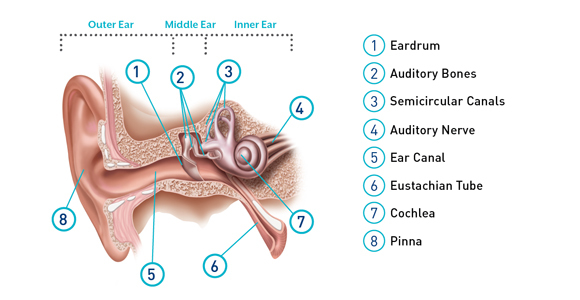 Stem cell therapy can produce this vital inner ear cells that are crucial for hearing. In fact, one of the most common causes of hearing loss is damaged hair cells. The cochlea is a crucial inner ear structure. It transmits and concentrates vibrations before translating the vibrations into nerve impulses. The cochlea cells responsible for this i.e. hair cells receive stimulation from the vibrating fluid inside the cochlea. Different hair cells receive stimulation from different sound vibration frequencies. The resulting nerve impulses travel along the cochlear nerve (auditory nerve) reaching the region of the brain concerned with hearing. 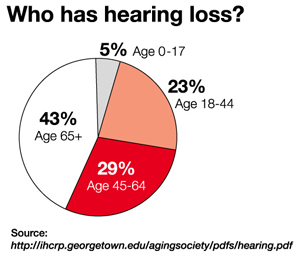 People develop hearing problems when hair cells die or get damaged. 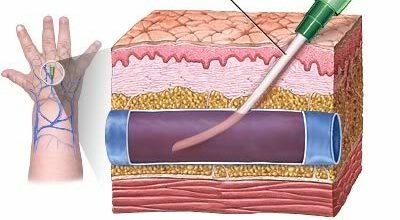 Just recently, there was no way of replacing damaged or dead hair cells. The discovery of cochlea stem cells has made it possible to treat hearing loss caused by damaged or dead hair cells. This includes hearing problems caused by; genetic problems, certain drugs, certain ear infections, overexposure to loud noises, blood vessel problems, autoimmunity, injury to certain hearing structures, presbycusis (old age hearing problems) and Meniere’s disease. Cochlea stem cells make it possible to grow damaged or dead hair cells back. The discovery of Cochlea stem cells is groundbreaking given the fact that the cells have been found within the inner year and they have the specific genes required for hearing. In the recent past, scientists have been able to grow mice ear hair cells damaged by noise trauma successfully. This was the first time researchers had been successful in re-growing hair cells in a mammal ear. There have also been breakthroughs in treating hearing loss among infants. Progress has been made in solving hearing loss problems at birth or shortly after using stem cells extracted from the umbilical cord. These breakthroughs show that hearing loss caused by damaged or dead hair cells is now treatable. Research studies indicate that 8% of Americans are at risk of losing their sight. It’s also worth noting that macular generation, which is the progressive deterioration of the macula (the part of the retina responsible for controlling visual acuity), affects most people over 40 years old. Other age-related vision problems include; soft, cloudy and/or blurred vision. 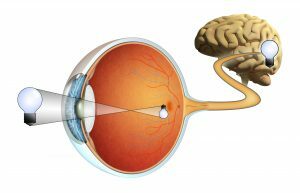 The retina is composed of a layer of light sensitive cells known as rods and cones. The cells work by translating light information (from the environment) into impulses/signals which can be processed into sight by the brain. Vision problems arise when the retina becomes weak. This can be due to old age or weak/damaged/broken blood vessels surrounding the retina as is the case with diabetic retinopathy and retinitis pigmentosa (which includes diseases like Usher syndrome, Refsum disease, and Bardet-Biedl syndrome). Researchers have been working on understanding mechanisms causing eye diseases, to generate multi-disciplinary preservation and regeneration therapies which have clinical application potential. Scientists have already seen success in the generation as well as transplantation of retinal stem cells, completing successful experiments that involve extracting retina stem cells from the skin cell of an adult mouse and transplanting them into another mouse suffering from retina degeneration. In this experiment, the retina stem cells successfully migrated to the right location in the brain of the recipient mouse improving its vision. Research shows that this treatment can be successfully delivered in humans and StemCells21 is leading the way of stem cell therapy applications to vision loss. Researchers have discovered a protein that can break down damaged retina (the outer surface) allowing healthy donor retina stem cells to integrate and grow into recipient tissue. Researchers are also studying the natural ability of fish to repair injured retina. Fish have Muller cells which can develop into a stem cell form regenerating damaged eye tissue in the process. Mice and humans also have Muller cells. However, internal signals stop the cells from performing regenerative duties. There is an ongoing search for chemical compounds capable of overcoming these inhibitions. There have been other approaches to treating vision loss using preservation therapies. This approach focuses on maintaining the retina’s structure to allow the regenerated or transplanted cells to thrive and restore sight. Scientists are using gene therapy to generate a molecule that is known to maintain healthy vision. Preclinical studies on corneal stem cells have also been conducted to help repair cornea damage treated through transplantation. We have partnered with highly educated, certified, and technically proficient team of specialists and technician. We with our team are highly dedicated to our patient and stay loyal to them. At every point of cure, they stay ready to attend queries and counsel individually for every patient. The medical experts, technicians, and staff members incorporated with us have good proficiency in stem cell therapy for the eye-hearing disorder. The skills, knowledge, and experience tend us to provide comprehensive stem cell therapy for every patient as well as employ supportive procedures that ensure an excellent outcome. Would you like Treatment for Vision & Hearing?